With this attitude, I overlooked Dexter since its Showtime premiere in 2006. That is, until recently. I’m not sure what changed my mind, but I’m glad I gave the show a shot. It’s fascinating: it’s Dr. Jekyll/Mr. Hyde meets The Punisher meets American Psycho with dashes of dark comedy and German Expressionistic tendencies. Dexter is strangely relatable. After all, I know all too well the emotional stress of pretending to be normal and wondering if my mask is good enough to hide whatever I conceive to be my fatal flaw. I know the frustration of being unable to change some unattractive personality trait. It is also a bit exhilarating to see someone execute the justice I sometimes want to. And who doesn’t want the kind of all-embracing and non-judgmental love like Harry’s? Yet, the more I think about it, the romanticism fades and I see how tenuous it all is. Harry’s love is tremendous, but it is not enough to change Dexter. In fact, it subjugates him to a whole new set of rules, which is anything but liberating. Ironically, the only time he feels free is when he is committing a heinous crime, and each one puts him one step closer to getting caught. It also strikes me as completely self-righteous to think that I should have the power to decide who deserves punishment when I too have cause to be guilty. 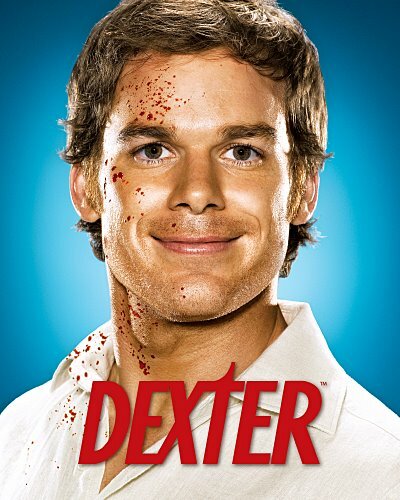 And no matter how you slice it, Dexter is a scary, scary serial killer! At this point, I become ever more grateful for Jesus. In the Gospel accounts of the New Testament, Jesus hammers away over and over again that there is more to us than our outward behavior, and what really matters is the condition of our hearts. Jesus exposes us to be monsters and we are unable to do anything about it no matter how much we modify our behavior. We don’t like hearing this because it is an affront to our can-do/self-help/I’m OK culture. Not content to leave us exposed, Jesus embraces us with his love. It is in this love that we are able to confront who we truly are and find forgiveness and redemption. Jesus’ promise points us to complete freedom and total re-creation, both of which happen in ways that escape our plans, timeline, and expectations. As St. Paul writes, in Jesus the old has gone and the new has come, even if the day-to-day suggests otherwise. This is true hope. Now that’s good news, indeed. So, start watching Dexter for the sheer entertainment value (Dexter’s sister Debra is also a fantastic character! ), and along the way, it may spur some deep thinking about human nature, redemption and freedom. And on that note: Happy early July 4th! awesome post, marc – it makes me really excited to watch! i’m also hearing that we should get into Mad Men. dusty– sorry to have missed your show. i agree with you! i’ve watched the trilogy, and needless to say, i was really disturbed. more than oldboy, i liked sympathy for lady vengeance a little better. what are your thoughts on that movie? i want to watch Park’s “i’m a cyborg, but that’s okay”. Dexter is a beautiful show. Nice job cutting through the blood and gore to show the bare-bone relationship to the Gospel. Hot Review. No problem man! We’ll catch you next time. I think Lady Vengence is, in some ways, a more beautiful movie. And Oldboy is an uglier movie…it just depends on what week your asking me…but I love them both. Have you seen Memory of Murder?